Yasi Delaney is a heroine who serves beside the goddess Boadicea. Her story seems to be a mystery. There is a legend that she is descendant of one god and the princess Etham. Yasi has strong power and is invincible on battlefield. 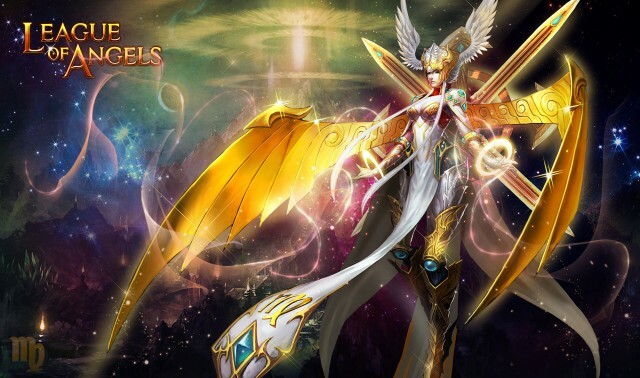 She is very hard-hearted when faced enemies, and she regards the endless power as her holy pursuit. As offspring of god, YASI has divine power hidden in her body, and once this power is stimulated, the following energy will be beyond measure. Darkness realm has already detected this power. If this power is controlled by dark forces, it will be a disaster. In order to avoid this terrible consequences, Boadicea temporarily sealed a part of her divine power. Even so, Yasi still is the strongest fighter in Valhalla. Regular Skill: Consumes 50 Rage to cast, Deals(155%MATK+1000）to enemies in front row with 100% chance of hitting, increases character's ATK and Agility by 5%, effects can stack up to 3 times,decreases target's Dodge and DEF by 10%, last for 2 turns.